Madly, deeply, passionately. I think I may have found the perfume I want to spend the rest of my life with. Who is the lucky bugger, you ask? 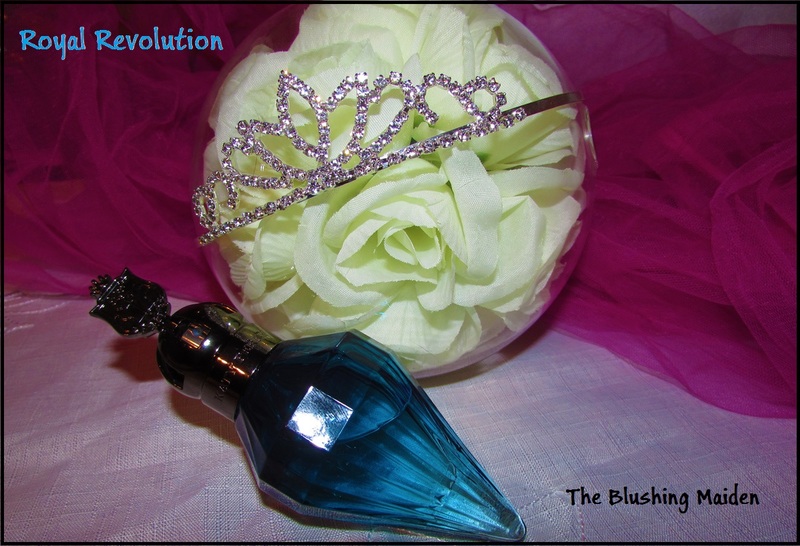 It's the brand new fragrance by Katy Perry, Killer Queen's Royal Revolution. Now, I'll start off by saying, I am a huge Katy Perry fan – she is the sister of my soul. She's like a big, beautiful, delightful ball of candy floss and energy! I love her crazy outfits, her hair, her music... I have a total woman crush on her. The bottle is ombre blue, from a dark turquoise top to an almost clear bottom tip. The cap is gun metal with her initials on one side, and two cats with a cross in the center on the other side. 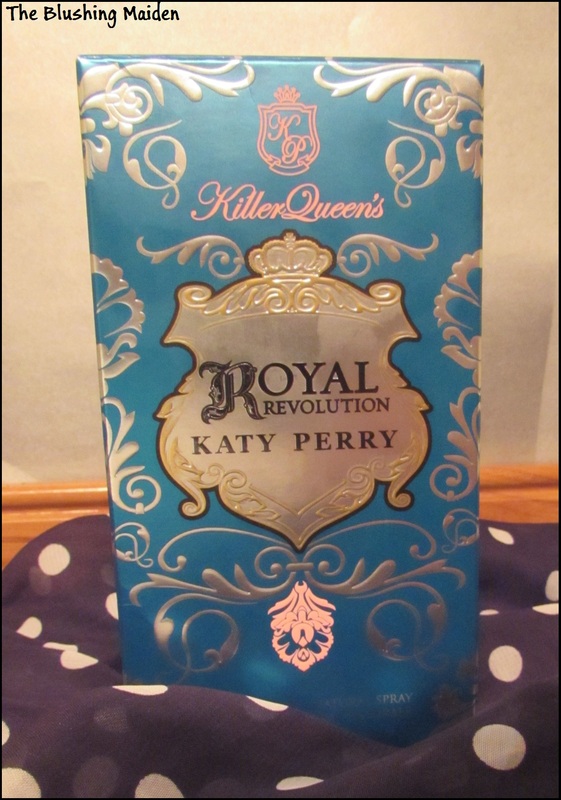 Engraved around the base of the cap is "Katy Perry Killer Queen". The bottle alone looks so classy and expensive. a Random fun fact, Blackthorn was used in spells in the olden days! And I have to describe the smell as pure magic. It's a fruity floral fragrance, to me the pomegranate is the main smell that comes through when I spray it, more than the pink freesia. It's a perfect summer perfume, and it can be worn both during the day and at night, but I wouldn't waste this precious liquid on a trip to the mall. This is my special occasion perfume (and yes, some days, when I feel like it - cleaning the kitchen can count as a special occasion). It lasts well throughout the day, better on my neck and chest than it on my wrists, because my hands are in water a lot during the day. I would say it lasts a good 5 hours or so. In my opinion it's more of a youthful fragrance, but obviously anyone can wear it. My mother thinks it smells absolutely vile - but no one asked her. Haha!